Never Had Dirt Under Your Fingernails? You can become a Garden Hero in 14 days or less. Learn how to grow the easiest, fastest growing crops with this simple system developed by a backyard farming pro. Use it to turn your garden into a food factory for your family and friends – and then go pro to make your gardening really pay-off! 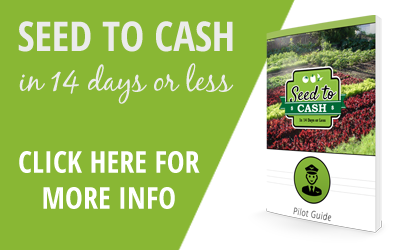 Check out the Seed to Cash program here. Ready to Take Your Gardening to the Next Level? What if you could work in your garden, provide a necessary product that everyone loves and needs, and pay your bills? 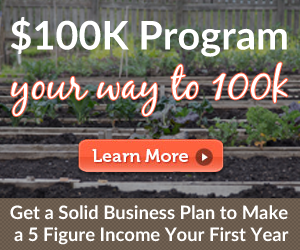 You can, and this backyard scale food business plan will show you how. Thousands have already had success with this system developed by a backyard farming pro. You can earn while you learn. Check out the Grow Your Way to $100K here. Copyright © 2019 Garden Hero. All Rights Reserved.